It takes 26 hours to drive from our home in Florida to our summer cottage in northern Wisconsin, and we always just blow right by the cities that dot the route. 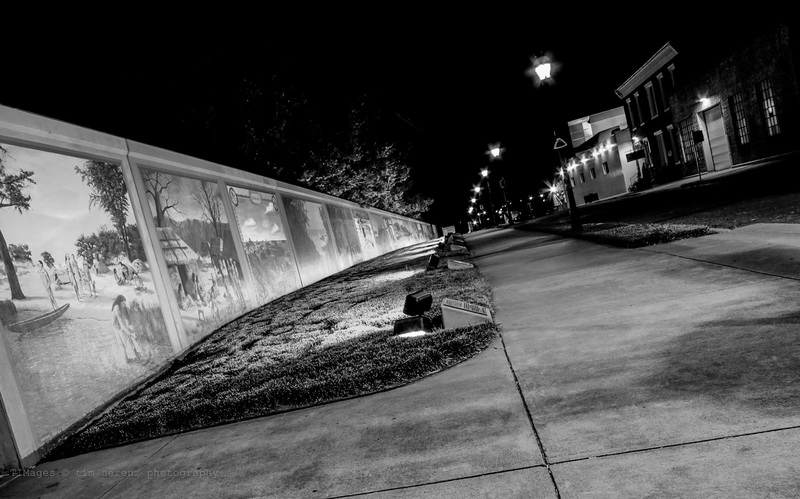 So coming back south this year, I pulled off to see what was happening in downtown at 9:00 in Paducah, Kentucky on a Friday night and discovered...nothing...nothing is happening in downtown Paducah at nine...not a thing...nothing at all...nothing. I had to shoot it at an angle it to make it remotely interesting. It doesn't get any better in color. Nothing. Sometimes nothing is interesting. I hope the click of your shutter did not awaken anyone.